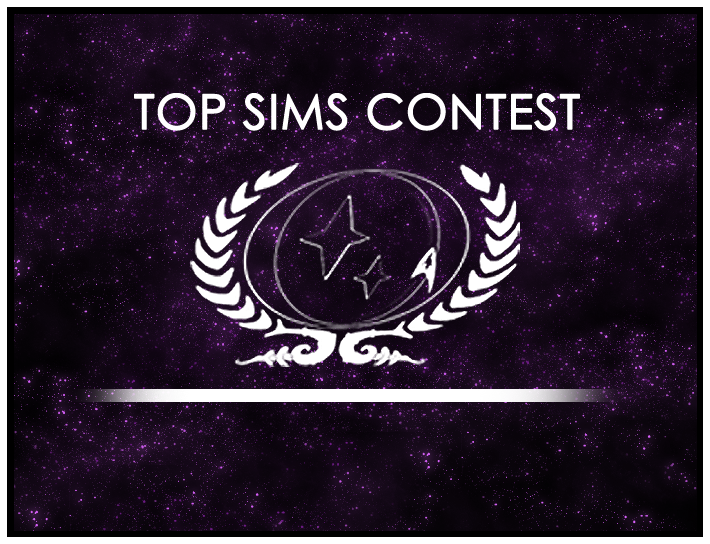 Top Sims Contest Run-off Round 1 Winner Chosen! Congratulations to LtCmdr. Danny Wilde and LtJG Luna Walker, whose sim “The Caper of the Century” has been chosen by a panel of five group staff judges to continue on to the final round of the Top Sims Contest at the end of the year! There are three run-off rounds each year, which bring together the previous member-chosen sims. A panel of staff judges then select the best sim from that group. This new run-off round process, which includes the staff judging, was added for 2012 to mitigate concerns about sims being weighted too heavily toward crews that are more active in the voting process. All five members of the judging panel were from different ships. 1. Round 1 Winners: “Always on My Mind” by Ensign Velana & “To Ask of You (Part 1)” by Lt. Diego Herrera and Lt. Ashley Yael. We’ve just opened Round 6 voting today (due to a schedule mix-up — sorry about that! ), so please go and vote for your favorite sim now!